Summer is definitely here, and it's heating up in Texas. 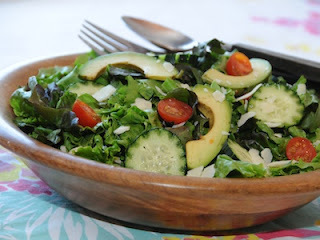 I turn into a really lazy cook when it gets so hot, and we do the Lifestylist® version of a salad bar many evenings. Everything gets prepped - even the kids help plate their favorite ingredients -then we put everything on the island and people make their own salads as big or small as they choose. I've stopped buying the bagged lettuce and greens because they are expensive and taste like chemicals to me. With the OXO Salad Spinner you can easily use heads of lettuce, spin them and even serve them in the bowl of the spinner. The kids love to help, and it's fast and easy for me. 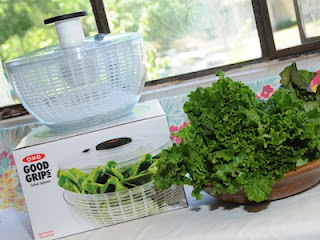 To win won of these great products from OXO, go to the Lifestylist® Food blog and enter. there are 7 different ways you can get additional entries, and winner will be announced on May 11th. All photography is by Lisa Stewart Photography.